All the benefits of Fulvic- Plus Humic! Mineral Blend offers unsurpassed natural energy, healing, and anti-viral protection. You’re getting all the powerful benefits of Fulvic, plus the peak performance of Humic. With superior absorption in the bloodstream, maximum benefits are assured. Scientists attribute the incredible benefits of Fulvic-Humic to their chelating properties, unsurpassed absorption directly into cells, and vital interaction with organs and systems in the body. Fulvic does its work inside the cells where it detoxifies, energizes, and stimulates the body’s healing functions. Humic works outside the cells, in the GI tract, to remove toxins, inhibit infections and neutralize viruses. 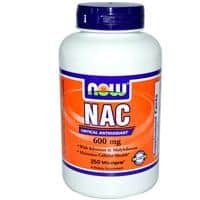 The effect is a strong immune system that enhances and strengthens all the cellular functions of the body. Provide essential electrical energy to revitalize cells. Boost absorption and bio-availability of ALL nutrients. Restore the system to a healthy alkaline condition. Detoxify and remove harmful pollutants from the body. Reduce damaging inflammation, and boost enzyme production. Mineral Blend supplies the tools to restore, repair and nourish because of the incredible cellular rejuvenation of Fulvic, combined with the balancing properties of Humic. 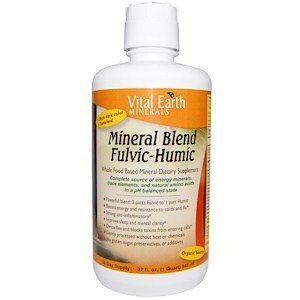 Mineral Blend Fulvic-Humic is perfect for those who want a gentle maintenance formula that alkalizes, detoxifies, energizes and boosts the immune system on a daily basis. Fulvic and Humic Minerals are nature’s perfect elixir! Adults: 1 fluid ounce, 1-3 times daily, as needed. Can be taken straight from the bottle, or added to non-chlorinated water, juice, or other Vital-Earth liquid products. Take with food for best absorption. (The bottle lid is a 1 ounce measure). Don’t let the color alarm you! Humic is the rich color of dark coffee or tea, but you’ll find that it has almost no taste at all. Purified reverse osmosis de-ionized carbon filtered water. Use only as directed. If you are pregnant, nursing or have a serious medical condition, consult a health professional before use. Keep out of reach of children.